With 4 assorted probes and 1 straight. 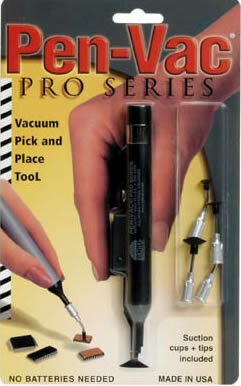 This Pen-Vac is designed to handle heavier parts and SMD components. A must for accurate safe SMD placement.